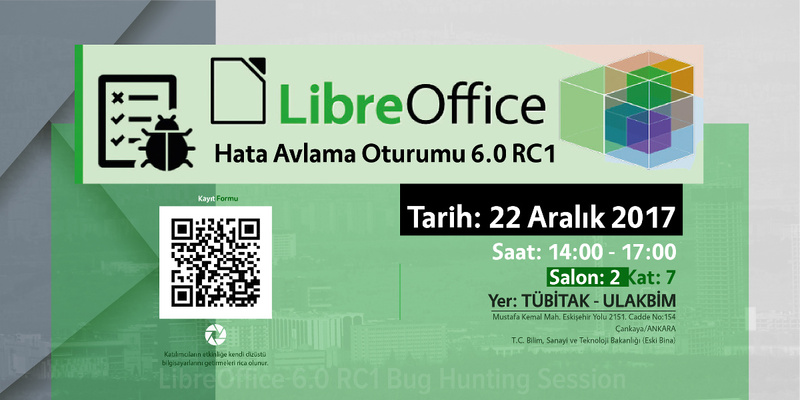 On December 22 we will have an international Bug Hunting Session (BHS), testing the RC1 (first release candidate) of LibreOffice 6.0. You can download, try out and test this RC1 version – and if you spot any bugs, let our QA (Quality Assurance) community know. Attendees will bring their own laptops. Registration until Thursday 17:00 (UTC+3) is required. There will be snacks, tea, and some swag!